The recent outbreak of armed conflict in South Sudan, Africa’s youngest nation has led to massive displacement, suffering and killing of thousands of innocent civilians especially the women and children. Amidst desperation and suffering, the women of South Sudan have refused to remain victims but survivors and are demanding to be active participants in the ongoing peace talks taking place in Addis Ababa. Soon after the outbreak of the conflict, the women picked up the pieces and organized themselves into women’s operation group. They supported each other, sent out strong messages of peace and provided humanitarian assistance to the victims by opening their homes to the displaced people. 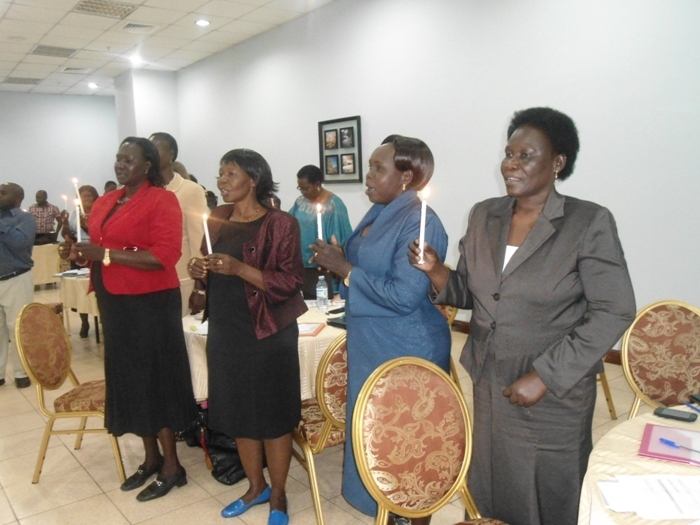 I received over 25 families here in Uganda in my house and now I am finding it very hard to look after them, said one Sudanese woman during a consultative meeting in Kampala whose purpose was to provide a platform for South Sudan women to consolidate their voices in order to influence the peace talks taking place in Adis Ababa. Women are taking up the roles of the humanitarian agencies and the government as well. Unfortunately their effort goes unnoticed. Another woman also commented that we feel so angry, frustrated and embarrassed. When shall we ever enjoy peace? We want to be at the peace table because the bullets do not discriminate between a woman and a man. The Women of South Sudan are unsung heroines in the liberation struggle of their country. During the liberation war, the women under the ‘Girls Battalion’ pushed both sides to declare a cessation of hostilities. They also played an instrumental role in the 2011 referendum for their independence. Therefore their efforts must be recognized and funded as provided for in United Nations Security Council Resolution 1325 (2000). Therefore including the women in the peace process, is not simply the right thing to do; it is the smart thing to do.